How do you like to relax (away from your computer?) Are you like Ni Ni, who plays with a goldfish, read on her roof (or porch? ), and enjoys her garden in a new photoshoot for Trendshealth? 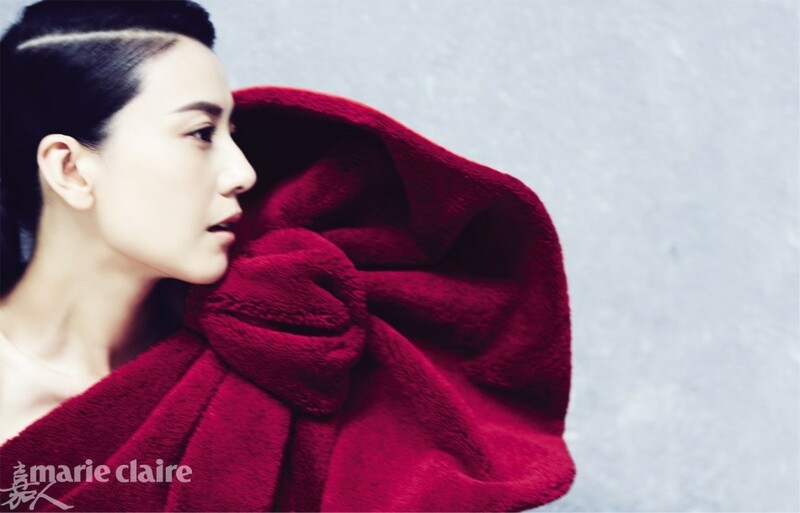 Are you like Fan Bingbing, who reads while drinking milk in her photoshoot for Grazia? Liu Shishi, lounging about a tropical island? Gao Yuanyuan, putting on lipstick, ready to go out? A photographer like Song Jia? Harper’s Bazaar teams up with Kindle to remind you to read because all the cool kids do it. Cool kids include Li Bingbing, Han Geng, Su Mang, Huang Xiaoming, Gao Yuanyuan, Liu Yifei, Deng Chao, Ni Ni, Feng Shaofeng, Bao Lei, and Lu Yi. Happy 2015! A quick round-up this week — I expect that the next Weibo Wednesday will be several weeks from now, so enjoy your fill while you can. 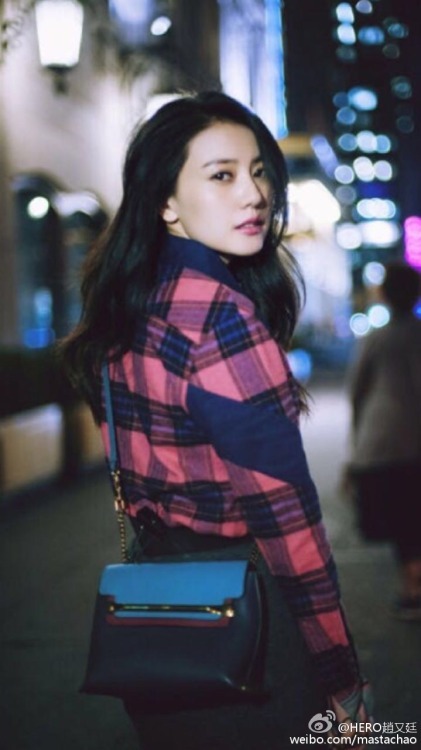 Mark Chao used the last few hours of 2014 to post a photo of his wife, Gao Yuanyuan. The couple officially got married at the end of November. Also of note is that Mark’s post was #1314 on his Weibo, which is significant because “1314” sounds like “all my life” in Mandarin. Don’t criticize her. This is my wife. So, for those of you in the United States: Thanksgiving is over, Happy(?) Black Friday! (How could I resist theming this week’s round up this way?) Jing Boran and Eddy Peng almost look like they could be planning their shopping strategy. Meanwhile, Gao Yuanyuan’s dark red lipstick looks great in her black drenched photo shoot, while Jane Zhang goes for a grey background. Xu Jinglei, though, goes for an all out grayscale look. 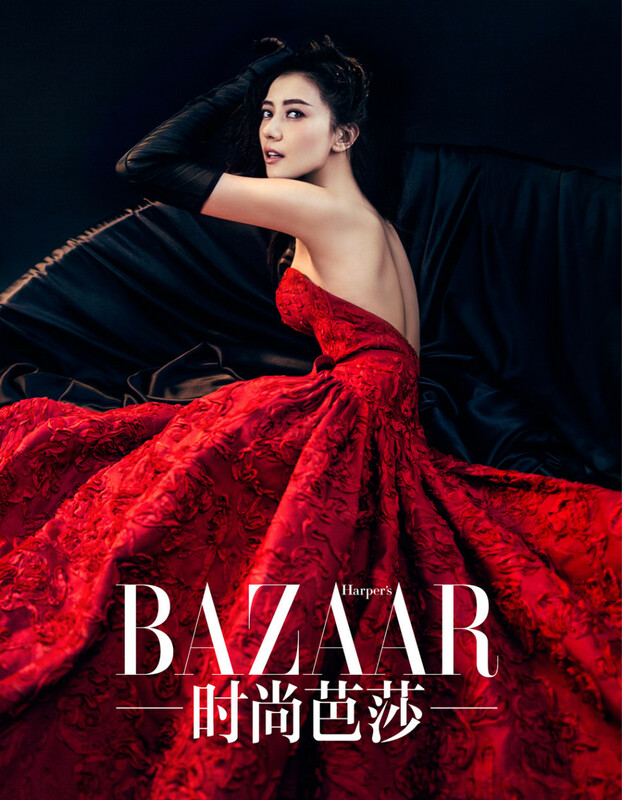 There’s also Liu Yifei, in elegant dresses – look below the cut for more pictures! (Sorry for being MIA with the Photoshoot Fridays! We’ll be back shortly).